Melbourne Cup is a horse race that provides a holiday in Victoria and stops the rest of the nation on the 1st Tuesday in November. The idiomatic flavour of Banjo Paterson’s poetry captures the essence of our Australian culture... our unique humor, the beauty of the bush: the determination to help each other to survive its challenges. 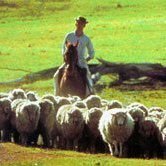 To be truly regarded as an Aussie it is almost a prerequisite to be able to recite at least one verse from The Man from Snowy River, and it’s difficult to read Paterson without a welling up of pride, and a yearning to be a part of this Aussie nation. These are some of the reasons the poetry of Banjo Paterson is incorporated into the Squatter board game. 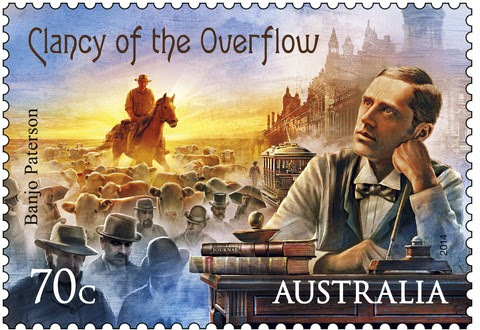 “Squatter” itself and the “Tucker Bag” cards are derived from the words of Waltzing Matilda; The Stud Ram, “Lachlan Lad” comes from the poem “Clancy of the Overflow” and “Winton Boy II” is also significant. So when it comes to Melbourne Cup Day it is fitting to ponder some of the Banjo’s horse racing stories.